The Allegheny Gateway provides opportunities for students to study, live and work abroad; encounter diverse peoples and viewpoints; get involved in defining and addressing real-world problems and challenges; engage in collaborative projects with other students, faculty, staff, alumni, and community partners; and articulate how their Allegheny experiences have prepared them for careers and graduate/professional studies after they leave college. The Gateway also provides a means for faculty, students, staff and community partners to put classroom learning into practice by tackling complex problems facing society. Gateway programs foster intellectual enrichment, cross cultural and global engagement, civic and social responsibility, ethical development, career exploration and personal growth. Through collaborative work and shared goals, the offices within the Gateway offer students an integrated and interdisciplinary approach to experiential learning. Student leaders work with the Allegheny Gateway, community agencies, and other College departments to plan meaningful projects, promote student involvement that makes a difference in our community, and encourage student leadership, reflection, and learning. All engagement initiatives strive to include student responsibility, exposure to diversity, social justice, and personal reflection. Engagement with diverse cultures and peoples challenges students’ assumptions and expectations about how the world “works.” These challenging experiences prepare students to become citizens of an increasingly interconnected global society. 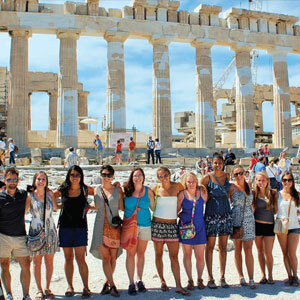 As such, the Allegheny Gateway sponsors semester, summer, and year-long study away programs, both domestic and abroad. Allegheny also sponsors programs geared to specific majors as well as programs with internships and community service opportunities. 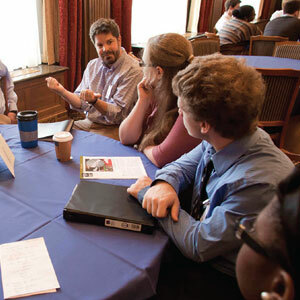 The Allegheny Gateway staff facilitates student success by connecting students and alumni with resources that support career and life planning. Career educators network with partners both on- and off-campus to develop internships and job-shadowing opportunities, educational programs, and employment leads. Staff members assist students at all stages of their Allegheny experience.